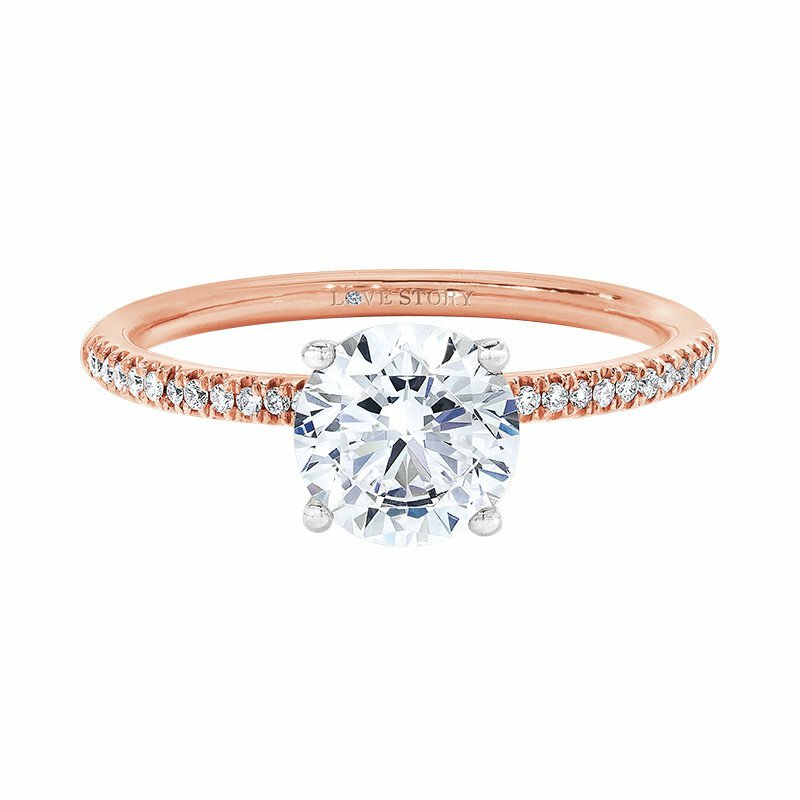 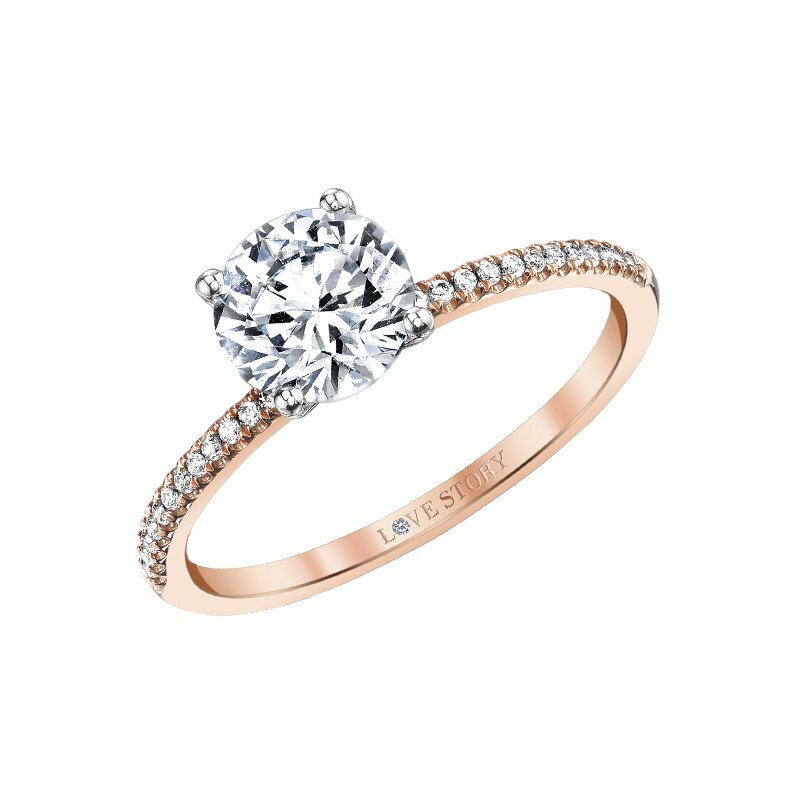 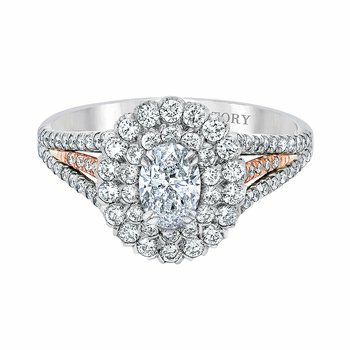 Radiant rose gold offers shimmering support to any diamond on this elegant semi-mount engagement ring with a white gold four prong center setting. 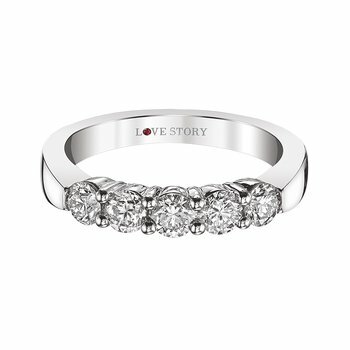 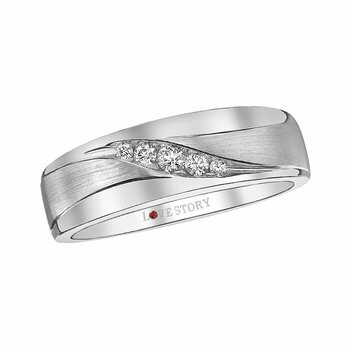 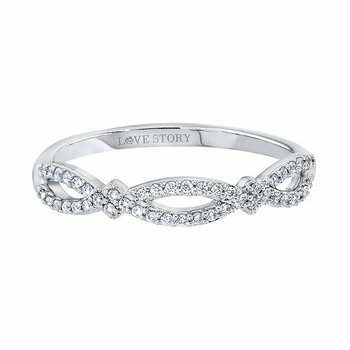 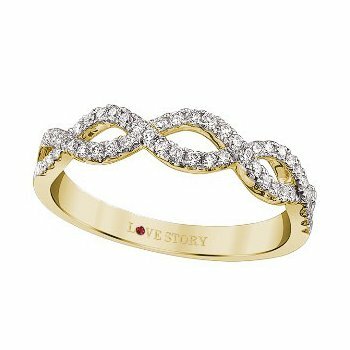 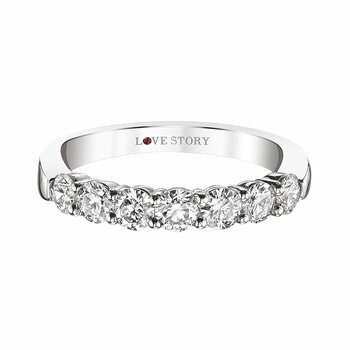 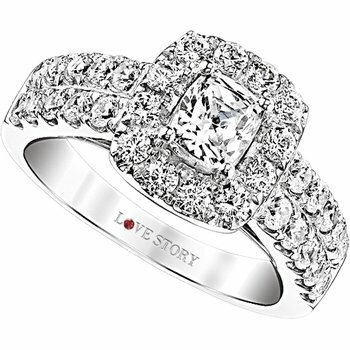 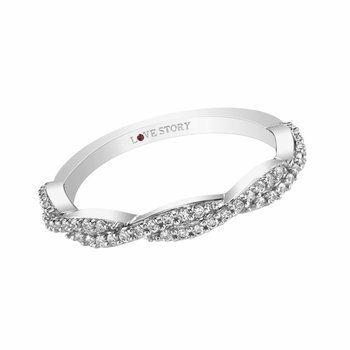 The signature Love Story logo is embedded in the shank. 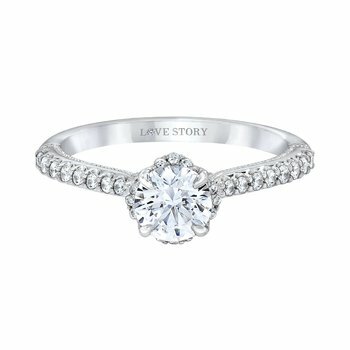 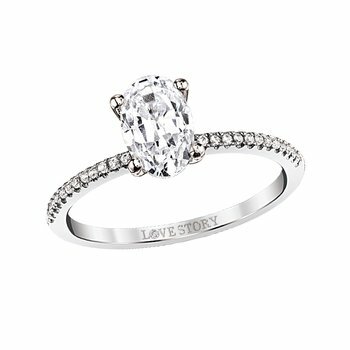 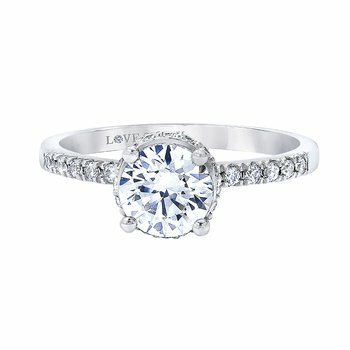 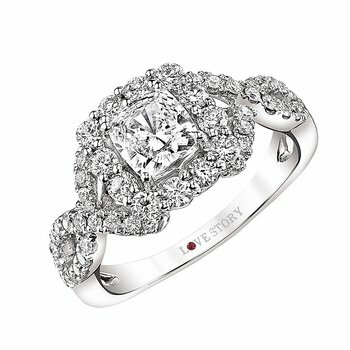 14K Two Tone( RG/WG 4 Prong Head) 1/10ctw Diamond Semi Mount Engagement Ring(fits a 1.25ct Rd Ctr) ; 26 Rd = 0.104ctw (HI/SI2min) F-DWT= 1.90 Love StoryÂ® Logo in shank with diamond.